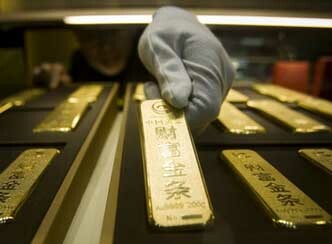 China is still buying gold mines as part of its policy to preserve and maintain its gold interests. China is evidently very interested in buying gold direct from source, you might say, rather than pay the gold spot price. Last year they came to an agreement to buy or hold a controlling interest in a Fijian gold mine and also looking to buy one in Canada. Now the Zijin mining group are launching a 299 million dollar bid for Norton Gold Fields who operate the Paddington gold mine not far from Kalgoorlie in Western Australia. The Laverton area gold miner, A1 Minerals, renamed Stone Resources is now the child of a Hong Kong company with mainland China interests. And it was Chinese interests that forked out 80 million dollars to buy the controlling stake in the Australian owned Zara gold project in Eritrea. Even as far back as 2010 China was interested in buying gold mines rather than on the market from the IMF and other gold sources. From the China Daily in February 2010. Sovereign Gold has signed up Jiangsu Geology & Engineering as a partner to pay $4 million to buy 30 per cent of two tenements. Of course China is paying for these with part of the 1.2 or so trillion dollars of US debt it has before the value of that debt deteriorates in lost value. What better way of spending it than buying gold and buying gold mines.